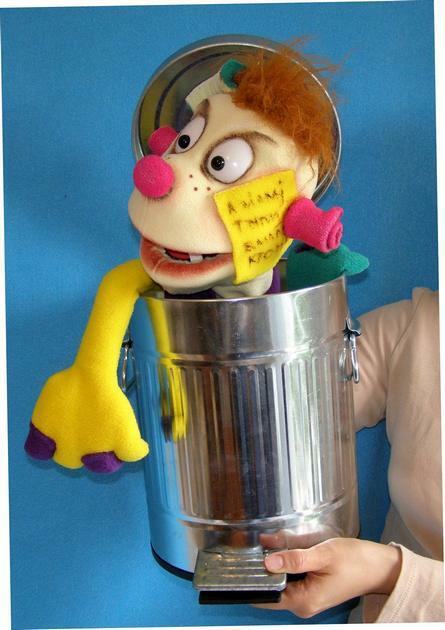 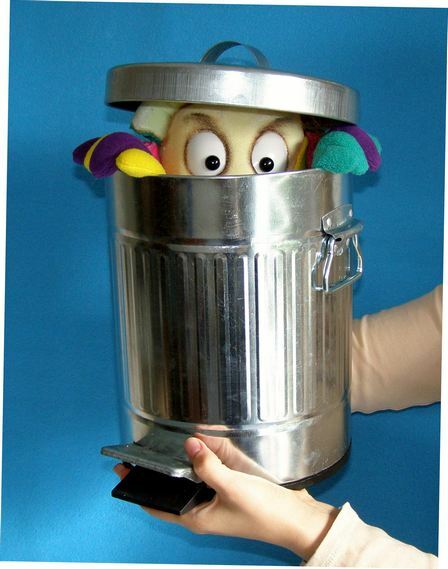 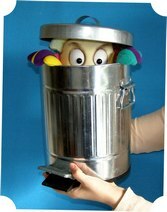 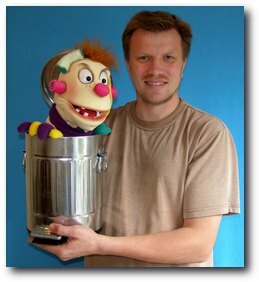 Mr. Trash, professional ventriloquist foam puppet in real metal trash can. 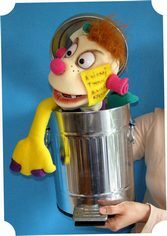 19"(49cm) tall when it open. 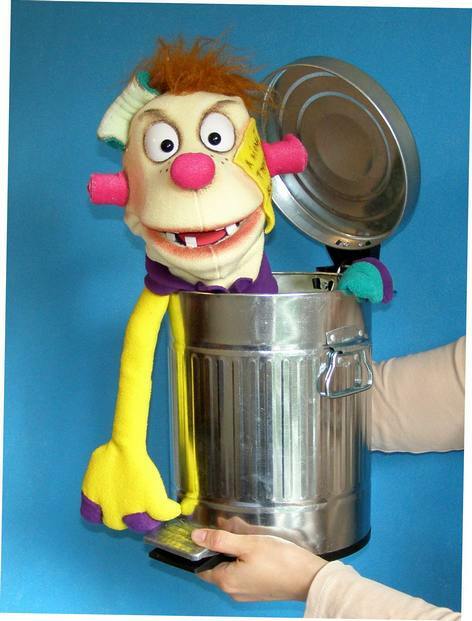 Weight is 2 pounds (0,9 kg).